The Ultimate Sales Letter, 4th Edition: Attract New Customers. Boost your Sales. 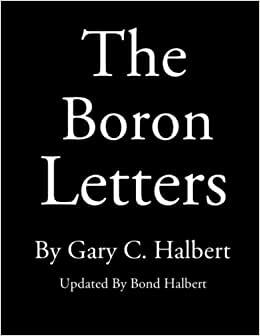 Start reading The Boron Letters on your Kindle in under a minute. 5.0 out of 5 starsInsightful! Ps the additions by Bond are also very helpful to apply the wisdom to today! Wow, just wow. It's no wonder Gary is still considered one of the greats... His actionable advice on marketing and general life tips are so on point. Guess that's what happens when you turn personal letters to your children into a book. This book is phenomenal. It’s my very first book about copywriting and I’ve learned so much. Definitely re-read this again! Very great read and enjoyable. Really interesting insights into how to look at sales opportunities. I am curious to know though why he was in jail? So good. A must read for anyone in business and sales. Very refreshing piece of advice. Straight to the point. Appeals to wide audience not just those interested in direct marketing/selling. 5.0 out of 5 starscool book on copyrighting, and on life!